With classes running six days per week and Fighters preparing as often as possible, this facility is almost always buzzing! This is an essential class for anyone interested in Kickboxing, Muay Thai, Boxing or Karate. Each day students will develop their skills hitting thai pads, learning combinations and developing transitions to take downs. A great way to get in shape and learn how to properly attack and defend an opponent. BJJ is an art of fighting on the ground. It offers a great workout and self-defense skills for all ages, and for men and women alike. Our classes are primarily No-Gi but we welcome Members & Guests to train in the Gi whenever they prefer. 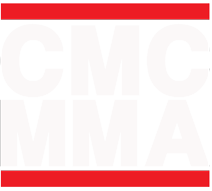 CMC has one of the top Grappling and Brazilian Jiu Jitsu programs in Canada. Attend as many classes as you want each week – but no commitment necessary to attend on any certain days. We’ve provided lots of class options so your child can attend whenever it works best for YOU! We invite our Teen Titans join in on our Adult Kickboxing Classes at Noon on Fridays & Saturdays as part of their Memberships! 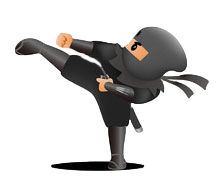 Applications for The Warrior Training Program in Lethbridge are now open, and the Canadian Martial Arts Centre is proud to be hosting this incredible transformation program! Tryouts will book out fast so why not kick your new year off the right way? Have a question about fighting professionally? Looking to just get rid of that extra weight? We are here to help you reach your goals in and out of the cage.